one stabilizer per amplifier. Is this true? Some insight on how to condition and stabilize all of this equipment will be greatly appreciated. Monster power products are pretty bad. Look into installing a SurgeX whole house device and call it a day. On another note, that room is hard. A large area rug would go a long way in helping with that. Normally, from the wall outlet you have the stabilizer, then the conditioner. Like already stated though, Monster isn't exactly well thought of, many others do the job better. Problem with monster and some others is that they limit current, plugging an amp into them isn't the best idea. Normally plug amps straight into the wall or to a power conditioner that doesn't limit current. That said, just an observation from the cheap seats......you have a lot of stuff in what appears to be a smallish room. Plugging in all this stuff and your probably on the same 15 amp circuit, your bound to get ground loop noise, not to mention starving 4 amps plugged into the same circuit. Is that why your adding the power conditioners ? Also, those front left and right speakers are way too close together, try and get about 6-7 feet between them. @tonyb The first set of speakers are actual a set of his subs. 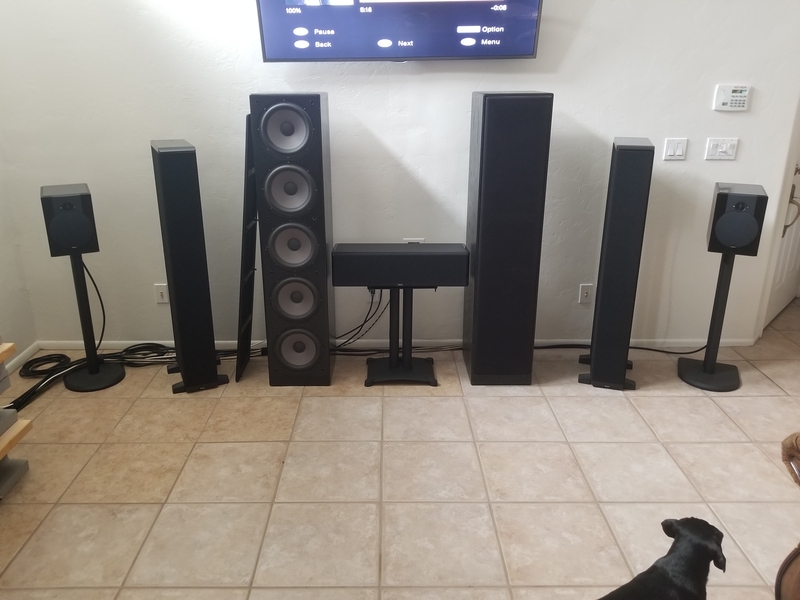 Each tower is 4 x 10" drivers. 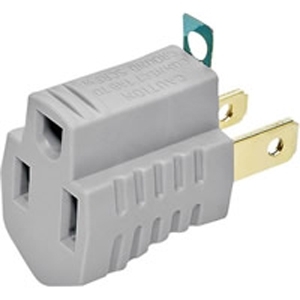 I also second Jesse's point about a whole home surge protector, with the HOPE that your not renting, as otherwise you probably cant do that so easily . I used to run (and still do) some APC H15's for my gear. I had everything but my amps on them to protect them from surge and brownouts. I still have those, but I had a super awesome pal (@lightman) who installed a whole home surge protector for me at my breaker. Which protects everything in my house, with the exception of the phone line coming into my Uverse box (which I am getting a surge protector for as well). If nothing else, your amps need to plug directly into the wall, bypassing the voltage regulation and surge protection. My B&K 200.5 tripped my APC H15 unit and when it did it took out a channel of my amp. You've got a TON of amps, so they really need to be run directly off the wall, and ideally, if your not renting, off a couple dedicated circuits. Thats the single best upgrade I've done is to have @lightman help me install 3 dedicated 20 amp circuits for my HT. Was a PITA and took most of the day, but the result has been worth it. I have my B&K on its own circuit, all my source gear + TV on its own circuit, and then both my Crown XLS2000's share their own circuit.